Who says pie has to have all of the fun? 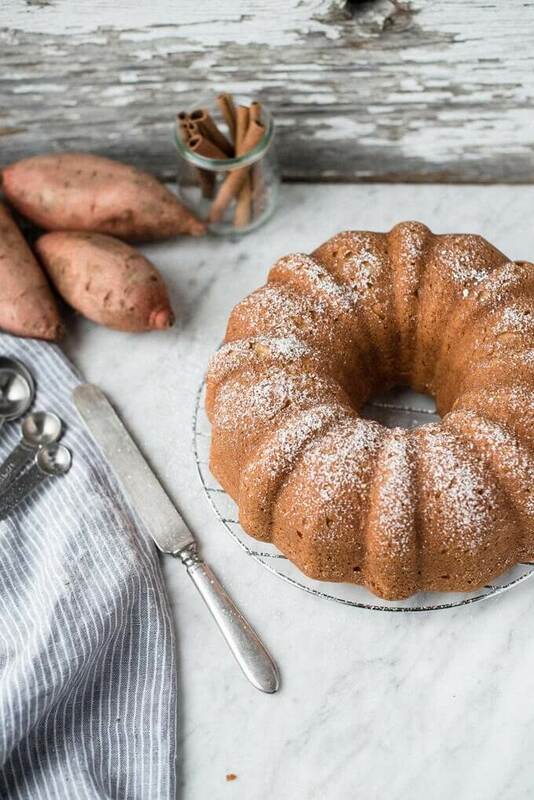 This sweet potato pound cake will become the life of your holiday party (or any special occasion for that matter). It’s deliciously moist and sweetened naturally with sweet potatoes and coconut. Cream butter and sugar together in a medium mixing bowl. In a separate large mixing bowl, combine flour and pumpkin pie spice. Gradually add sweet potato mixture to flour mixture while beating. Spoon batter into a well greased bundt pan. Bake for 65 minutes or until toothpick inserted comes out clean. Cool for 15 minutes and then invert pan to remove cake. Dust with optional powdered sugar.